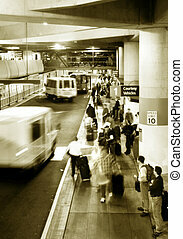 People moving in motion at Denver International Airport, Colorado. 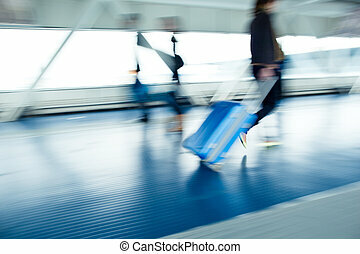 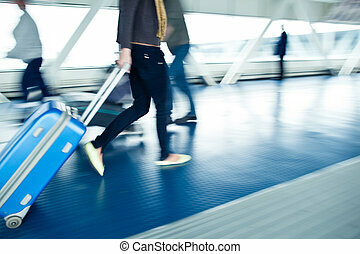 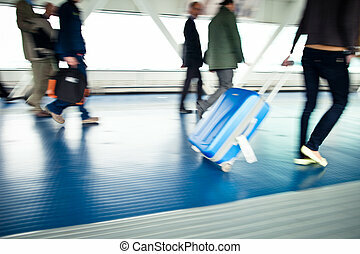 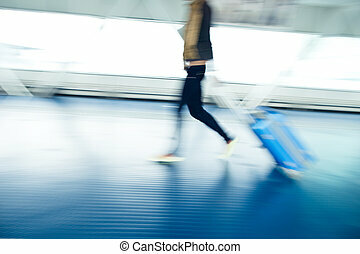 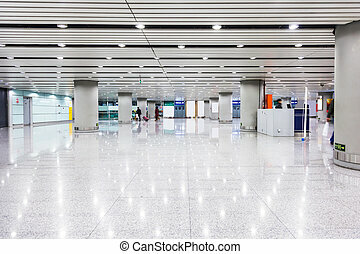 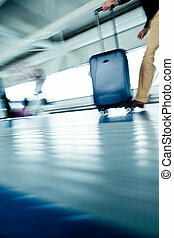 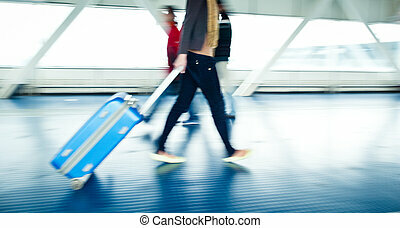 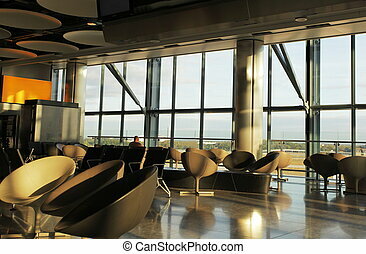 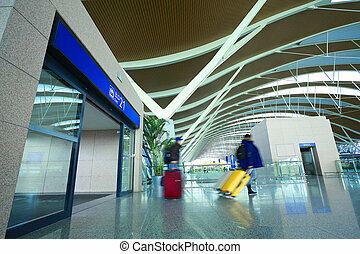 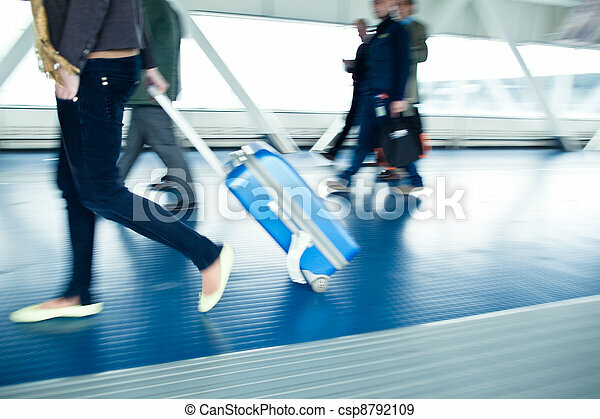 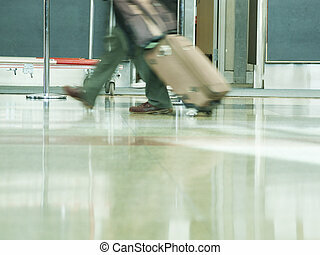 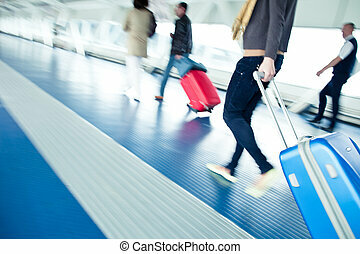 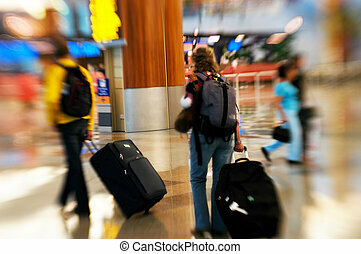 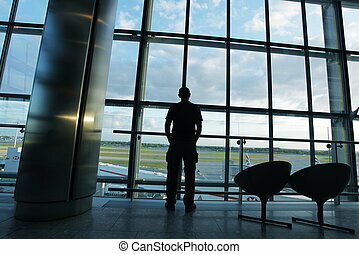 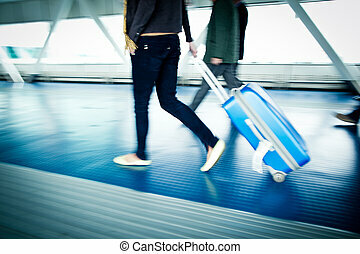 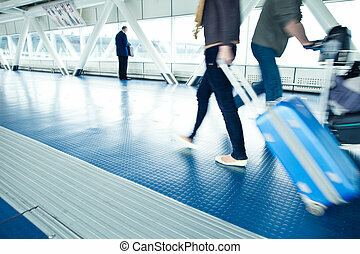 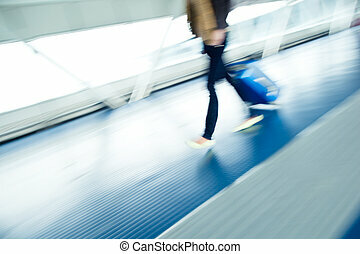 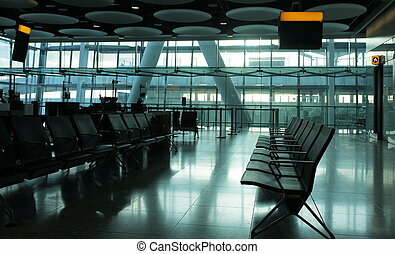 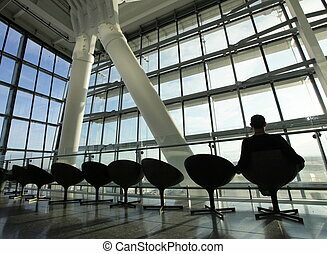 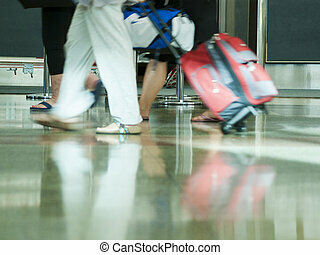 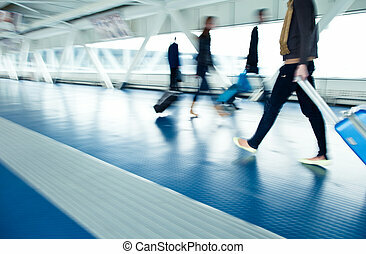 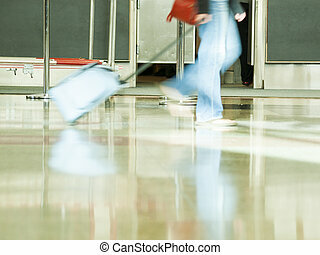 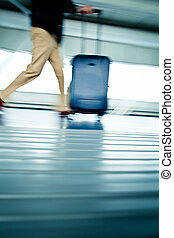 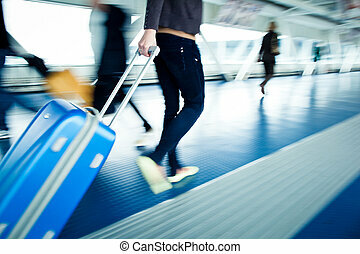 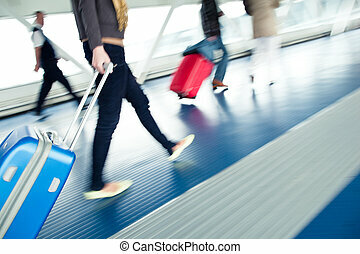 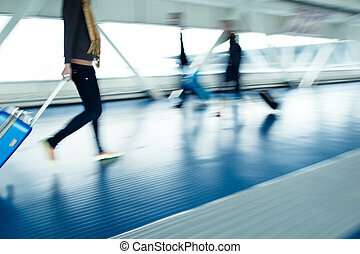 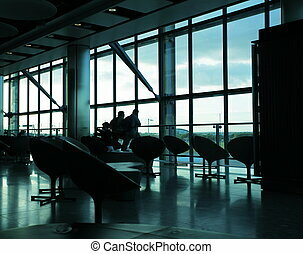 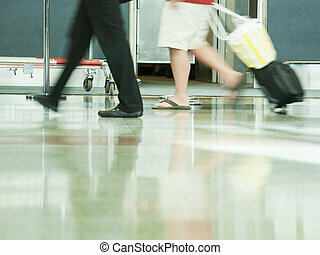 People rushing in an airport. 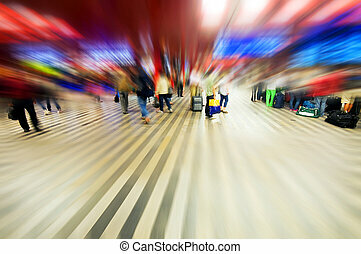 Shot with a special effect lens. 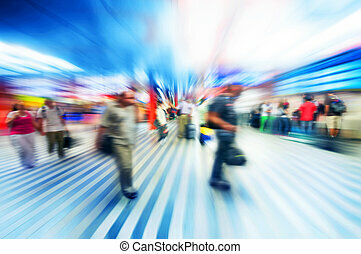 Intentional blur & selective focus.